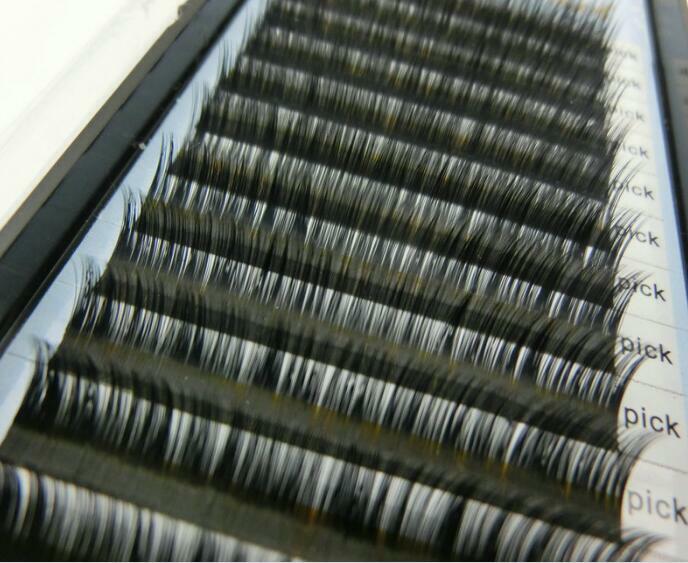 Natrual Look Tray Lashes extension, adding that ultimate finishing touch to your eyes. 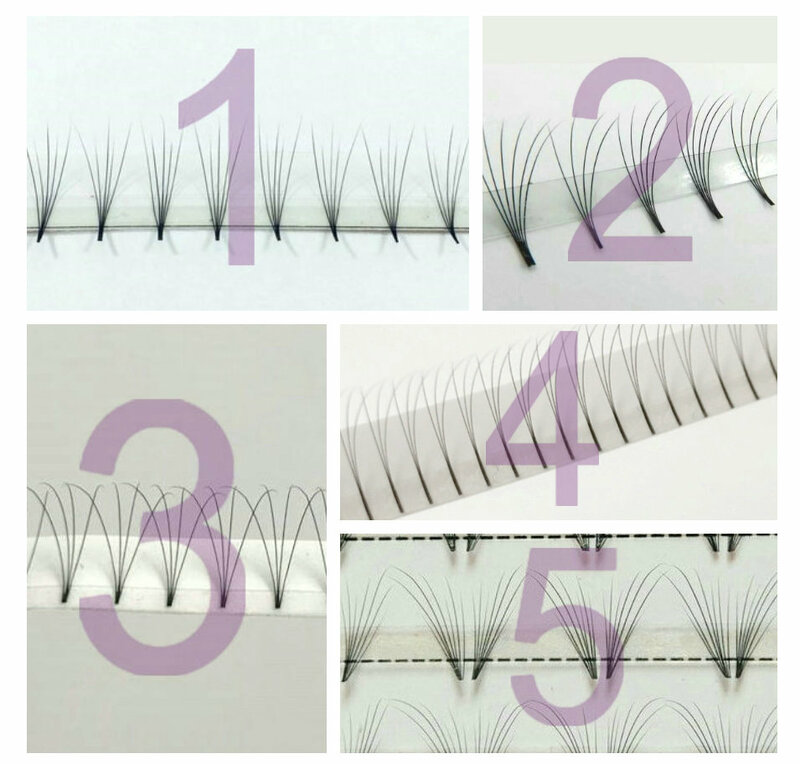 Lashes extension are easy to apply, comfortable to wear and re-usable. 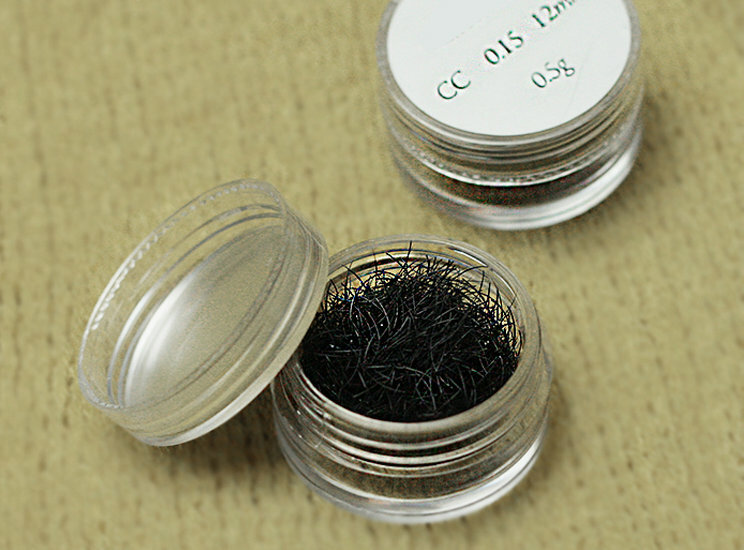 Tray Lashes are 100% handmade and looked very natural. Colors' eyelashes are able to make women more attractive. 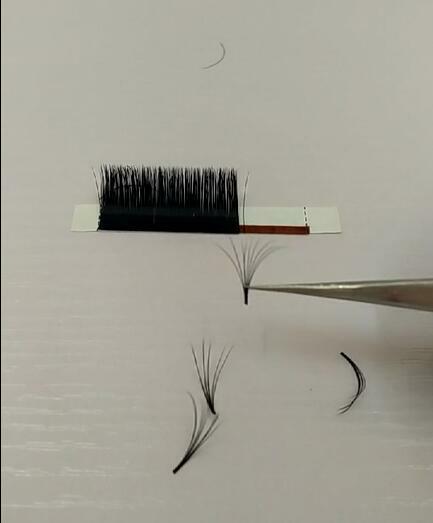 High quality Pre-fan Volume Lashes are perfect solutions for clients with less natural lash volume or easily bridge the thin space for those who has gaps in the lash line. 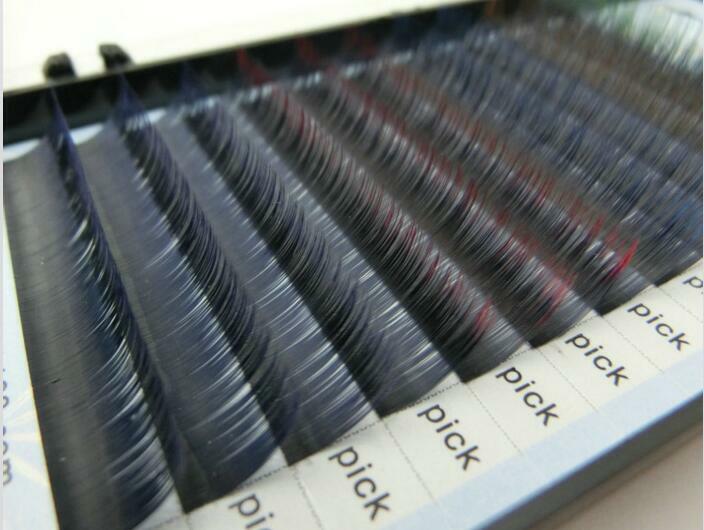 Silk volume eyelashes are of the finest and softest quality you can imagine. 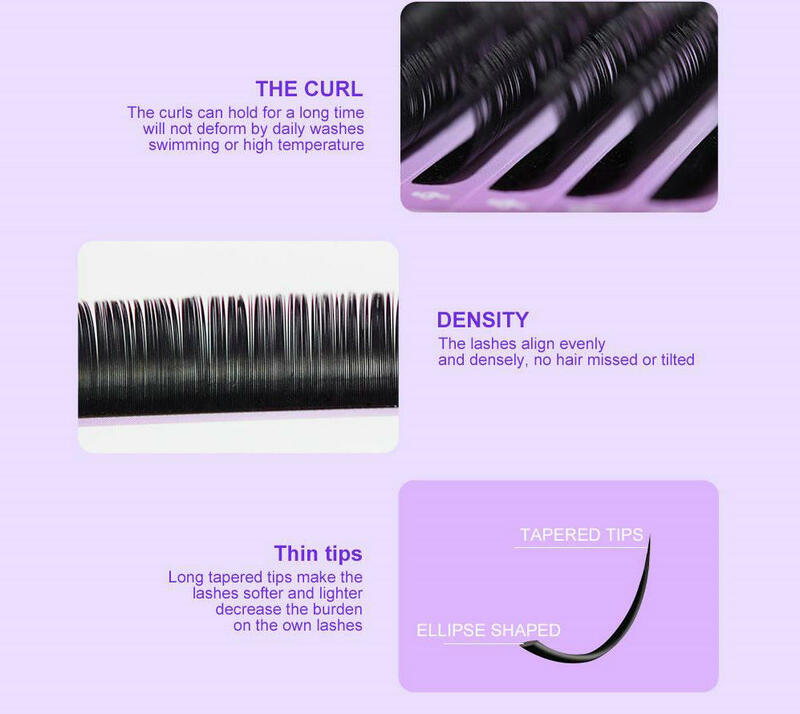 Our silk eyelashes are available in several curls, thicknesses and lengths. 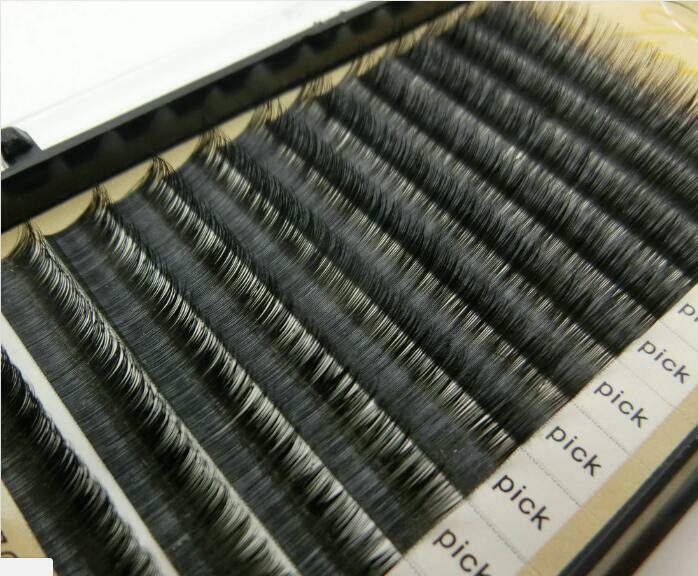 These eyelashes are so soft and thin which gives a neat and honest results to your eyelash extension. 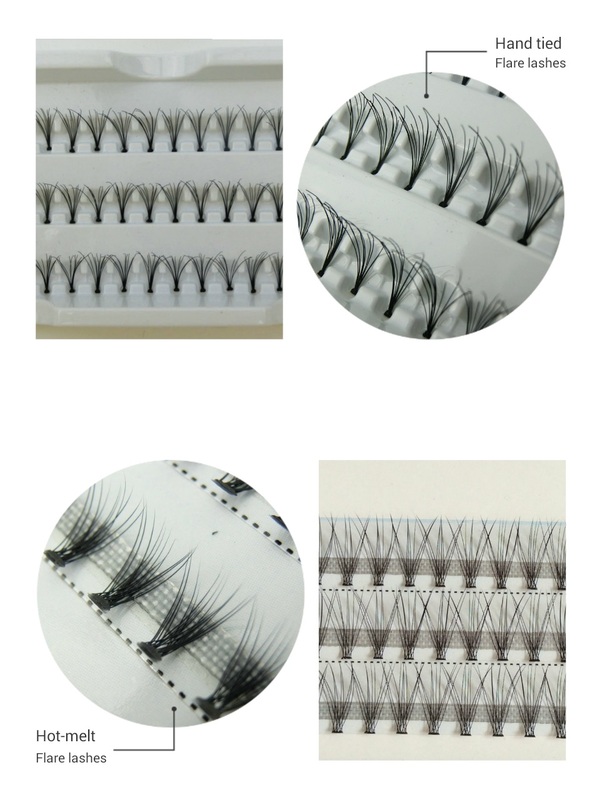 Blooming Eyelash Extensions(easy fanning) are specifically designed for the XD Volume Lash Extension or Russian Volume Lash Extension Application. Flat lashes are a great option for those clients who are hoping for a dramatic look.Using flat lashes of 0.15 will appear as thick as 0.20. 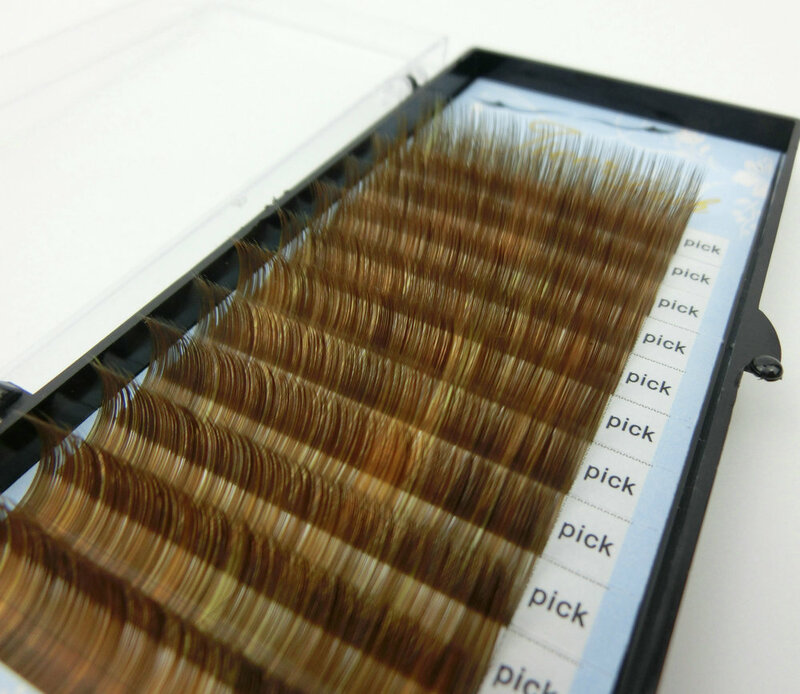 Real siberian mink eyelashes extension is made with top quality 100% siberian fur mink which enjoyed the high-end customers'demand worldwide. 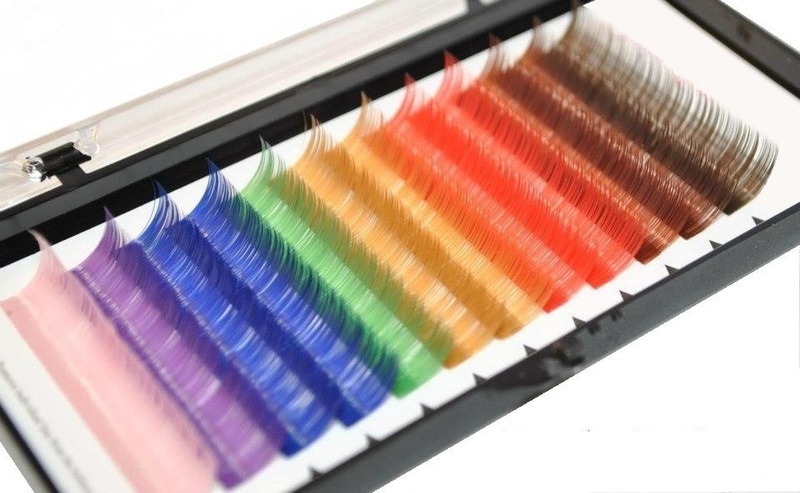 The mixed colors lashes are the newest style on the market.We put the different colors together in one row,at first that's a difficulty for the workers to make the lashes beautiful and perfect the same as normal color lashes,but we did more exercises and now best workers in the world can produce this lashes expertly! Two-tones ombre lashes extension is perfect for everyday use because they are not too vibrant, you can do an entire set of extensions with two toned or use for accent color. These loose lashes are soft, flexible and contain special micropore fibers that aide in bonding extensions to natural lashes instantly.